I took the kids on another Sunday field trip–this time, quite literally to a field, on top of a ridge. 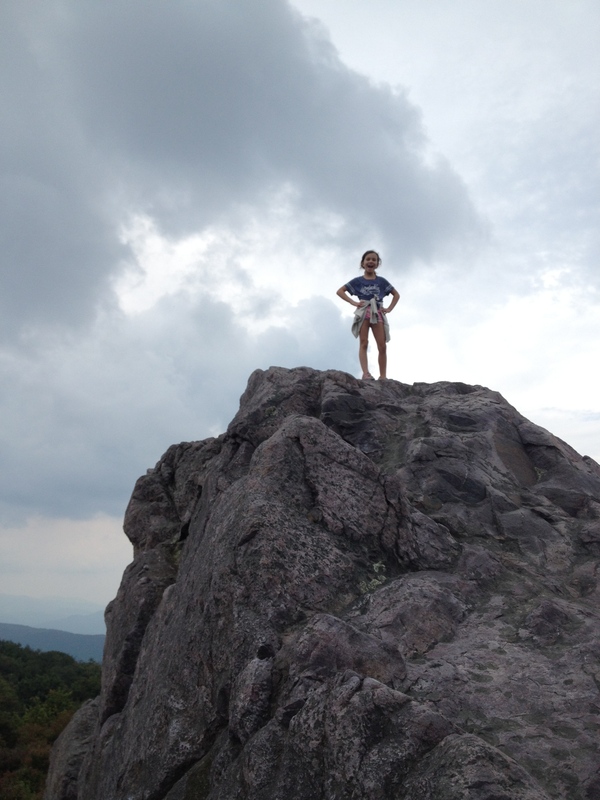 We went to Grayson Highlands Park, just over the line in Virginia, and just a couple of miles away from Mount Rogers. It’s the last weekend before school starts, so why not make the most of it and tour about. We had a wonderful time. We packed a lunch, some climbing shoes, and a crash pad, and then drove through portions of North Carolina and Virginia that I had never seen before. And when we got there, the park in every way lived up to my expectations. There were boulders to climb, scrambles to, well, scramble. 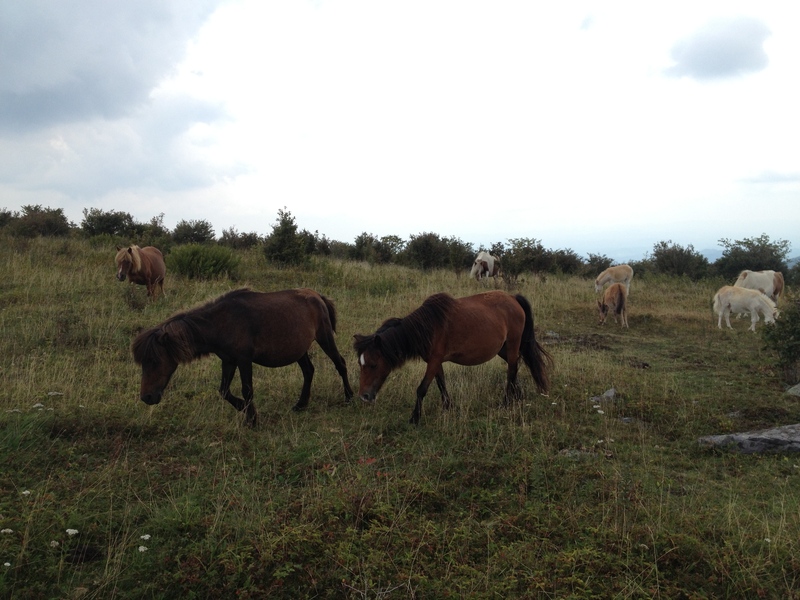 And of course: there were the wild ponies. I’ve spent a lot of Sundays alone with all three of my kids–the result of my wife being on call from 9am-9pm most Sundays. I’d prefer to have full family outings, of course, but at the same time, I really do cherish these opportunities to be alone with my kids. And of course, I cannot help but think, on each one of these Sundays, how short the time is that we have together as a family. So tomorrow, I have a full day of meetings with faculty and administrators. And the day after that, classes start back for me and for my kids. For today, though, it felt great to spend the day on top of the world, in the company of creatures, free and wild. This entry was posted in Uncategorized and tagged being present, family, nature, simplicity, taking time. Bookmark the permalink.